Martham VillageMartham near Great Yarmouth is a large, pretty village just 9 miles north of Great Yarmouth. The village lies partly in the Norfolk Broads National Park and one of its boundaries is the upper reaches of the Thurne River - a world famous fishing location. The centre of Martham has a large village green with Georgian houses, shops, pubs and restaurants. Visitors and locals plays host during summer months to events such as the Beer Festival, Scarecrow Festival and Carnival. 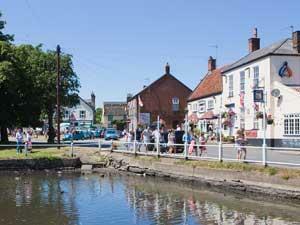 Martham near Great Yarmouth is a large, pretty village just 9 miles north of Great Yarmouth. 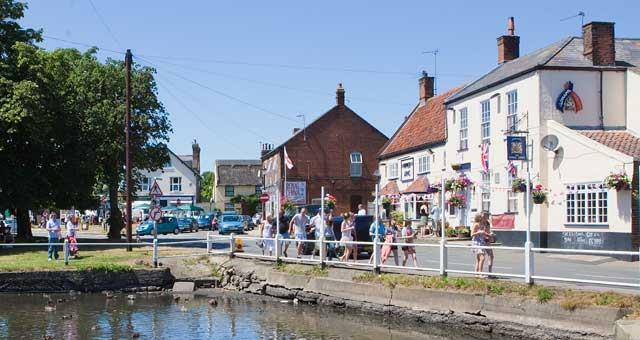 The village lies partly in the Norfolk Broads National Park and one of its boundaries is the upper reaches of the Thurne River - a world famous fishing location. Martham north and south Broads have some of the clearest water in the whole Broads system and there's a canoe hire centre if you'd like to explore the River Thurne. From the A47 take the A1064. When the road forks just before Billockby, take the left fork B1152 signposted to Martham. First run regular bus services to Martham, please check details before travelling.